With just under a month to go before we publish it, I thought I’d let our cycling fans have a sneaky peak at the new photographic book by Rouleur. For the 100th running of the Tour de France, top cycling magazine Rouleur sent seven writers and photographers on the road at the Tour, each given three stages to record their individual takes on the race. 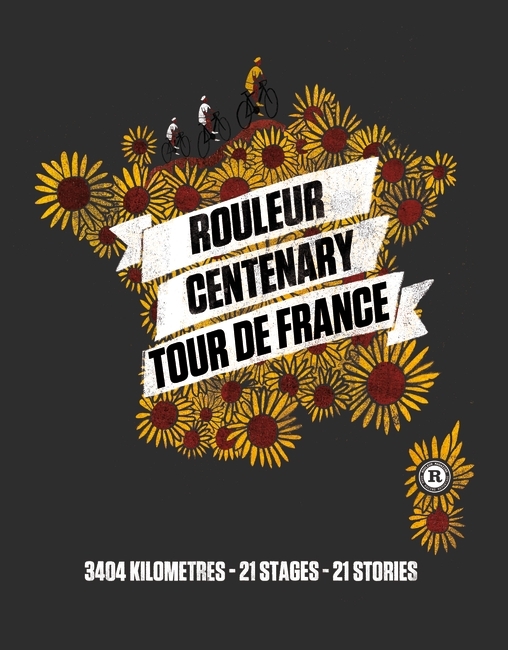 Rouleur Centenary Tour de France captures these stories and provides a fascinating look at the race. Out 7th November, it’ll make a nifty Christmas present for the lycra lovers among us. This entry was posted in Books, Cycling, Rouleur, Tour de France 2013 and tagged Andy McGrath, Carlton Kirby, Cycling, Eurosport, Geoff Waugh, Guy Andrews, Jakob Kristian Sørensen, Jens Voigt, Katusha, Oliver Nilsson-Julien, Paolo Ciaberta, Richard Williams, Rouleur, Sean Kelly, Sebastian Schels, Timm Kölln, Tour de France. Bookmark the permalink.